Pre-K and kindergarten camps are from 9 a.m. to noon and are $20 per day for museum members, $25 for nonmembers, and children should bring a snack. Camps for grades 1-3 and 4-6 are from 9 a.m. to 4 p.m. and are $45 per day for museum members, $50 for nonmembers, and children should bring a snack and a lunch. Drop off for camp begins at 8:45 a.m. Registration for each camp is now open and closes at 5 p.m. the prior day or when full. Children may be registered for individual days or the entire week. Space is limited and advance registration is required. Refunds will be offered in the event the walkout does not take place or ends prior to an already reserved day. All other sales are final. April 9, Folding Fun: What can paper become? From origami to marshmallow launchers, campers will learn how paper can be transformed into new objects and apparatuses. April 10, Out of this World: Stars, planets and moons are up above, but what are they? Children will get out of this world with an exploration of the night sky plus lessons about on life on Mars and objects in outer space. April 11, Mix it Up: Mix, shake, stir and more. In this introduction to chemistry, campers will learn what mixes with water, what does not, and the reasons why. April 12, No Bones About It: What was Oklahoma like millions of years ago? Children will examine fossils and learn about the creatures that used to roam in red dirt. April 13, Hop Into Spring: Campers will explore everything popping up in the SMO Gardens, learn about the museum’s vegetable patch, plus investigate the homes and habitats of different garden creatures. April 9, Build & Break Engineering: Things will fling, roll, shake and break. Campers will build, test and improve catapults, create contraptions that do simple tasks in wild ways and make robots jitter and move through power of electricity. April 10, Dangerous Things: Don’t try this at home! Fireworks, sharp edges and heat produced by lenses are some of the things campers will use in this day of safely exploring dangerous things. April 11, Water, Water Everywhere: Water is wet, fun and at times highly destructive. In this daylong exploration of H2O, campers will make water seem to glow, build a river, race boats and more. April 12, We Can Be Heroes: From using electricity to protect a city and having the abilities of a spider, often what seem like super powers are derived from the world of science. Campers will get hands-on with super science and see what it takes to be a super hero. April 13, Geo-Neato: From surface to core, Earth is extraordinary. Campers will examine and make fossils, build structures and see how they stand up to earthquakes, create a comet and more. For more information or to register, call Science Museum Oklahoma at (405) 602-3760 or visit http://ecommerce.sciencemuseumok.org. 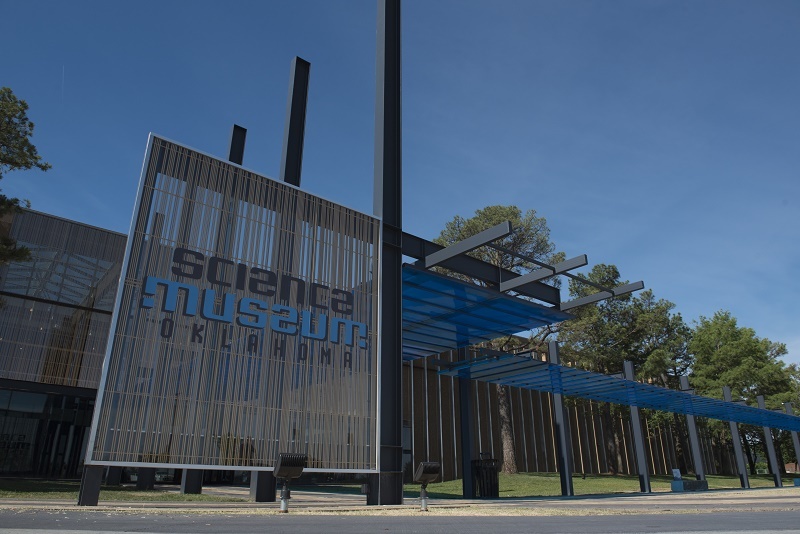 Science Museum Oklahoma is open from 9 a.m. to 5 p.m. Monday through Friday; 9 a.m. to 6 p.m. Saturday; and 11 a.m. to 6 p.m. Sunday. Daily general admission is $15.95 for adults (ages 13 to 64) and $12.95 for children (ages 3 to 12) and seniors (65 and older). Annual memberships begin at $105.